June 15, 2015: Lia came to us just before Christmas of 2012. She was nearly 12 years old and she looked every bit of her age. She was a shy, scared and easily intimidated old lady dog. 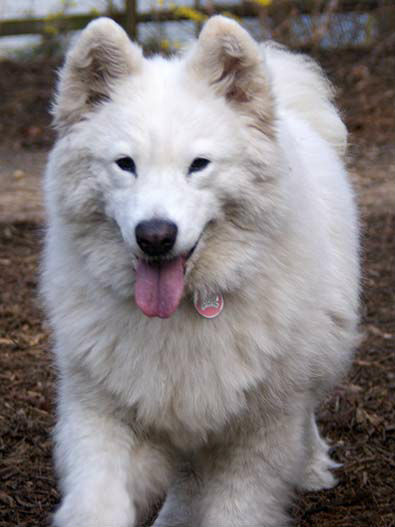 Lia was part of the 2012 Mid-Atlantic Samoyed Rescue of the nearly 40 dogs seized from the Pennsylvania/Delaware border. Lia was PA-21. She was one of the old ladies of the group. 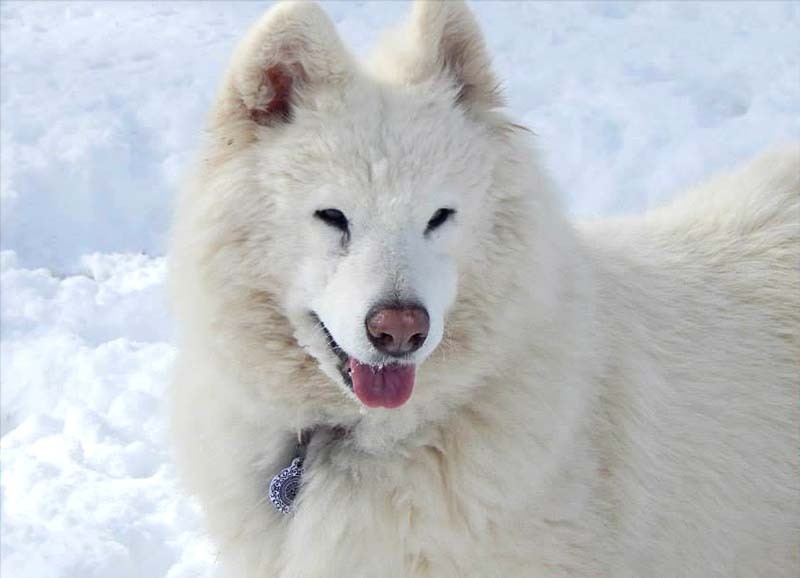 I had heard of this rescue through the news and local Samoyed groups. I discussed the rescues with my husband and expressed my desire to home one of the dogs with us. We both had concerns that these dogs would have emotional scarring being rescued from such a harsh and sad environment. Most of these dogs were left to live in crates and cages that were entirely too small for them, and left to lie in their own waste and excrement, and flies swarming everywhere. Lia, we later learned, had had multiple litters and then left to live in a rabbit cage, too small for her and her feet to bare on raw wire. 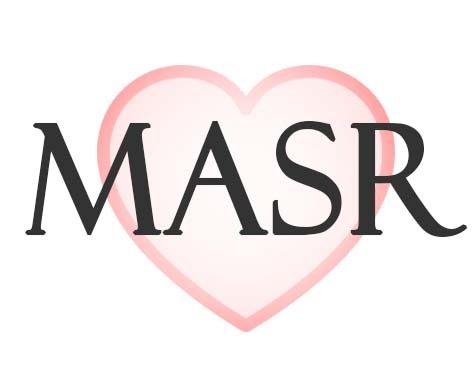 When MASR inspected Lia’s feet, they found them to be splayed and raw. Her hind end was at a constant drop as a result of living in a too small cage. Later this resulted in severe spine issues and nerve damage. Lia had stained fur as a result of being forced to lie in her own excrement, taking me nearly 9 months of grooming her to finally erase the yellow stained fur. When Lia was delivered to us that late December day, both Dave and I were concerned. She could hardly hold herself up. 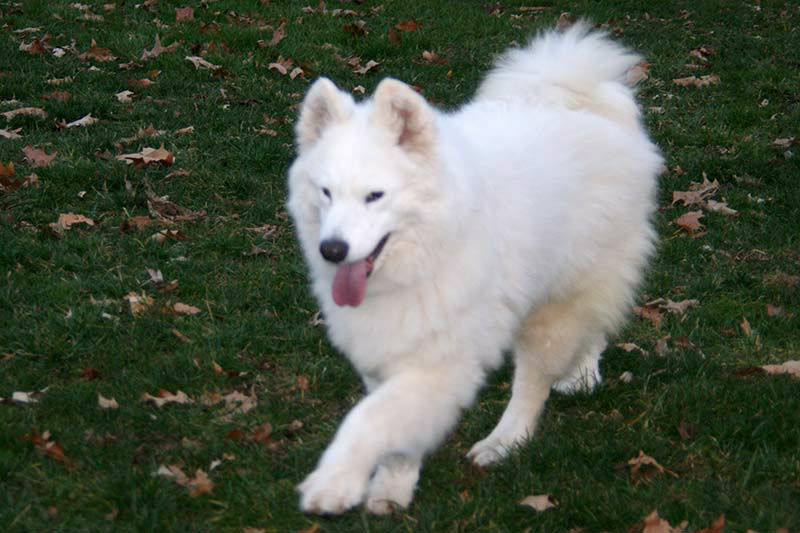 To add to it, our home in Maryland was located on a hill and we had a 16 month, highly energetic Samoyed puppy dog, Tundra. We thought: This is going to kill her! But, not wanting to go back on our word, we vowed to give her our best try. It was obvious right from the start that Lia had no experience living in a house. She retreated right to her crate and wouldn’t come out. It was obvious that we had a long road a head of us in rehabilitating this old girl. 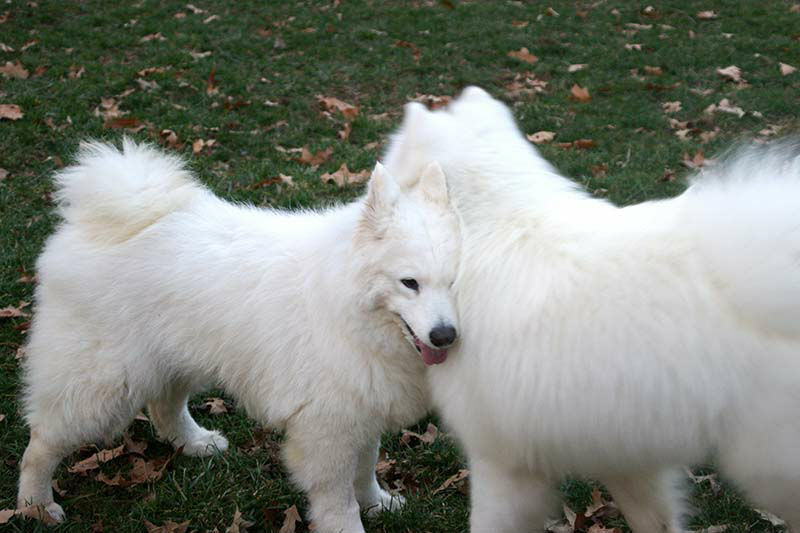 As the days wore on, and days got brighter, Lia and Tundra formed a fast bond. Lia started to become very attached to me. She grew stronger each and every day. It took her longer to trust Dave, but with a lot of time, patience and love that day finally came. Dave affectionately called Lia his “Sweetie Pie”. Originally we were only going to be a foster for Lia. In the spring of 2013 Dave and I finally found our home in Central Kentucky, after many years of looking. We knew there was no way we could return Lia, we had to take her with us. I filed the adoption papers, and packed Lia up with Tundra and our cat, Wooly,and started our 10 hour trip to Kentucky. Lia traveled like she had been doing this her whole life. It was after we made Kentucky our new home that Lia really blossomed. It was meant to be. She was a happy girl. She thrived living in the country, and loved the long walks around the farm. Her and Tundra’s bond became even stronger. 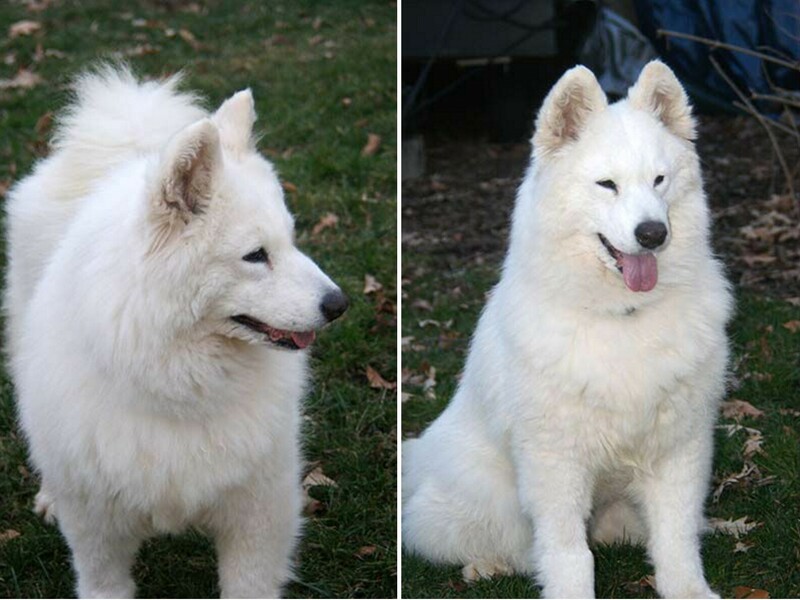 Lia taught Tundra to be a gentleman, and Tundra taught Lia to trust, feel secure and loved. 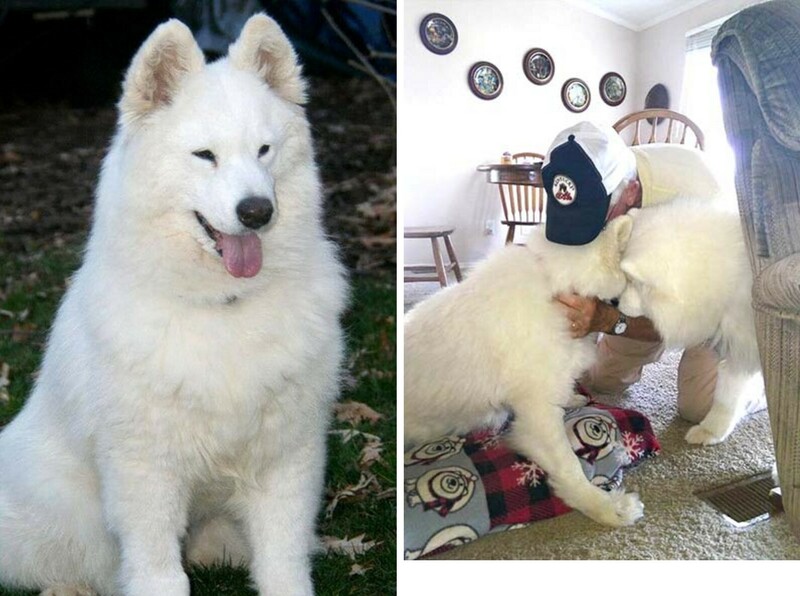 Tundra worried over Lia and made it his personal mission to be Lia’s main caregiver. Time went on and Lia got older. The effects of living in a cage started to take a toll on her. Her spine compressions became more and more of an issue. She no longer wanted to be in her crate, we put her to bed in Tundra’s crate (it was bigger) and she still wasn’t happy in it. We finally decided she could no longer get comfortable in any crate so we let her sleep in the living room with Tundra. This seemed to really satisfy her. She never went into a crate again. The last couple of months, Lia has been declining. Her spine had become progressively worse, and she was on a myriad of medications. None really helping her significantly. Every movement became painful and exhausting. Eating (her favorite pastime) became a painful chore. We started feeding her on the step, raised just enough for her to more comfortably eat. Even then she started having great difficulty eating without pain. She was having great difficulty ambulating without pain and sleeping without pain. It was just getting to be too much for her. We decided that living miserably was not living. We wanted so much more for Lia. In the short 2 ½ years of living with Lia, we found ourselves completely in love with her. Our Sweetie Pie, Sweetie Pie Lia. There will be a huge void in our lives. 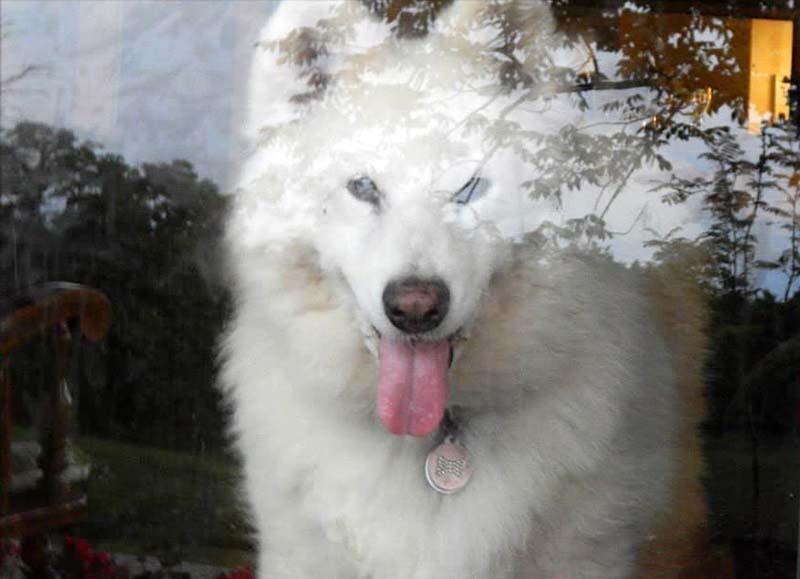 Tundra will deeply miss her, as will we. She was a completely special, scrappy, and funny girl. The old lady we thought wouldn’t be with us for 6 months, surprised and blessed us with 2 ½ wonderful years. Has it been a lot of work? Yes. Yes it has. But, my old girl was completely worth it. So, it is with the greatest sadness that we had to say goodbye to Lia this morning. She deserves a life free of pain. As much as it hurts us to say goodbye to our old girl, it hurts us even more to see her exhausted and worn out from being in constant pain. She was a special family member to all of us. 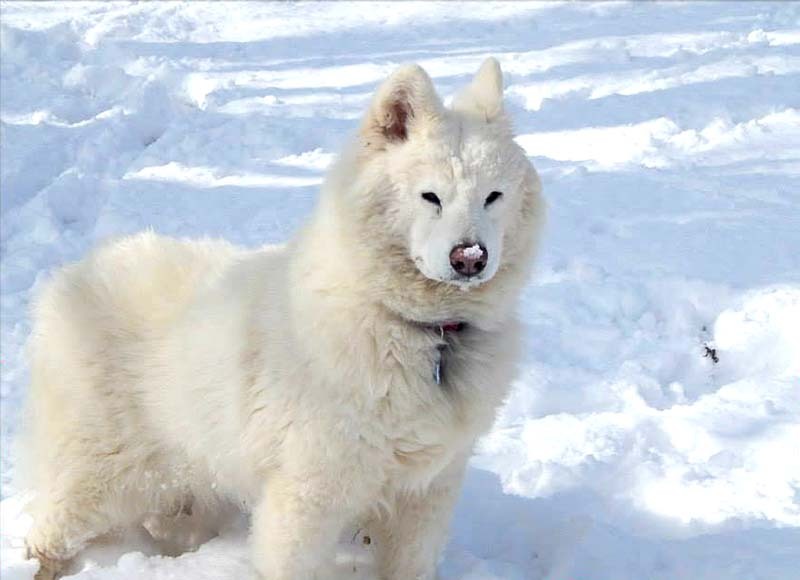 Tundra adored her and cared for her, her constant companion. She is the poster child for senior adoption. Lia my love, our Sweetie Pie, run and be free. 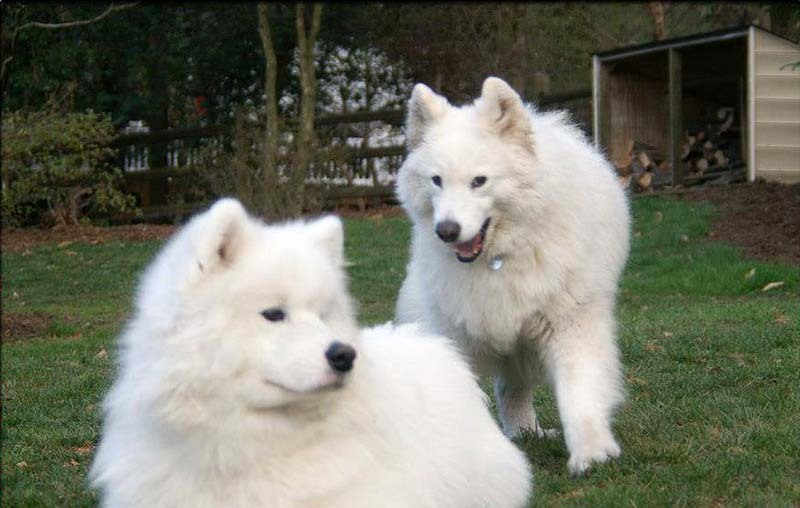 Hang with Bear and Blizzard and let them show you what being a free smiling Samoyed is all about. Know that you will be deeply missed here on earth, you surely have earned your place in Heaven, and most especially you have earned a special place in all our hearts. Someday we will meet again and I will surely see a young and healthy and happy Lia. Godspeed Lia, until we meet again. Hugs and kisses and lots of love. You truly are our Sweetie Pie. 5/5/13: Lia has grown leaps and bounds since I got her before Christmas. Finally her stains on her fur are fading. She does very well when I groom her and even does well on the grooming table. She is still a little bit shy around Dave (but getting much better), but she has become very attached to me and Tundra. She has also found her voice. She loves to vocalize and howls when she is happy and excited. She went from being very weak in the legs to actually running up and down the hill of our present home (trying to keep up with Tundra and be with us). Her favorite backyard past time is watching for our neighbor’s cat through the fence. It is quite cute. 1/12/13: Lia is doing remarkably well. She has grown leaps and bounds in the 3 weeks we’ve had her. When Tam first brought her here, we were very worried about how she would handle our 17 month Sam, Tundra (he’s a bit rambunctious) and our hill. She was pretty weak in the hindquarters. She has gained strength significantly in the 3 weeks. Although Tundra can sometimes be a little more than she can handle at times, she does hold her own pretty well. Mornings is her hardest and her weakest, I imagine her joints are pretty stiff. but once she’s up and moving she does well. We finished the panacur on the 1st of January, and she finished the clindimycin as well. She has about 2 weeks left on the doxy. I gave her one of Tundra’s heartworm pills on the first of January as well. Lia likes to stick to her crate a lot, so I try to keep it closed when we’re home with her and try to keep her active. She has acclimated to the house pretty well and has only had a few accidents. I suspect she is incontinent, but noticed that is getting better with time as well. She isn’t as nervous as she was when she first came so think that helps as well. She sticks pretty close to Tundra and relies on him a great deal. The first three nights we had her she didn’t let us sleep, we had her crate in the living room (Tundra sleeps in his crate in our room). We moved her crate into our room as well so that she could see Tundra and me and we haven’t had a bad night since. I think Lia is a little hard of seeing and believe she has been debarked sometime in her life from our observations. She has a somewhat difficult time on our laminate floors, especially in the morning. She has done very well around our cat Wooly. One question I had brought up to Ellen at the PVSC meeting Sunday was her sutures from the mammary tumor removal. They look to me like pds sutures which should be absorbable. They do take longer to absorb when exposed to air. Did your vet say anything about suture removal? I can remove them here if needed. Just let me know. I took her to Petco last Saturday to bathe her. She did really well with that and did well on the grooming table at home. The stains are set in her fur however on her back end and left thigh. Even after a couple of shampooings with whitening shampoo. Only time will take care of that. She is excited to see me in the morning and when I get home from work in the evenings. Super improvement. She is still a little shy around Dave, but is happy none the less. 12/3/12: We couldn’t tell if she knew her name or not, she was just happy to be getting attention once she realized being on the grooming table wasn’t the scariest place on earth. Lia is the ‘old lady’ of the PA dogs, she is mellow, sweet and appreciative. She is also one of the PA dogs with a longer coat so didn’t get a bath today but will be getting one tomorrow as her coat is now ready for water. Her feet appeared overly splayed so I flipped a paw over to take a look. Not good and now I need to inspect everyone’s feet, especially since one of the males limps unless on astroturf when he’s outside. Natasha is missing the rough pads on her feet, I’ll have to ask if that grows back. The shelter had told us these dogs all had bloody feet from living on rabbit wire, I can see now they were not exagerating.